Scientists have long debated the possibility that some of the key ingredients for life on Earth were brought to our newly-formed planet by comets and asteroids. A new discovery in the “fuzzy atmosphere” of Rosetta’s comet may lend some credence to this theory. The European Space Agency announced Friday that the Rosetta probe discovered some basic building blocks of life on comet 67P, including phosphorus and the amino acid glycine. Therefore, it’s possible that the impact of small bodies on a forming Earth “drastically [increased] the concentration of life-related chemicals by impact on a closed water body,” according to a corresponding paper published in Science Advances. Glycine was previously discovered in 2006 in samples taken from comet Wild-2 during a flyby, but “possible terrestrial contamination” made analysis tough. Scientists praised this most recent event due to the clean nature of the samples. “This is the first unambiguous detection of glycine at a comet,” said Kathrin Altwegg, principal investigator of the instrument that made the measurements. Glycine is commonly found in proteins and phosphorus is a key ingredient of DNA. In the paper, researchers also stated that they found other organic compounds, including hydrogen sulfide and hydrogen cyanide. 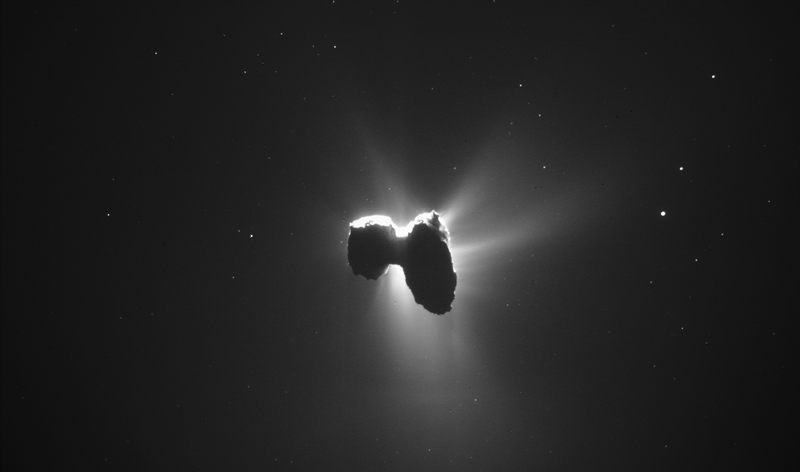 Rosetta’s findings are important because of the unchanging nature of celestial bodies such as comets. In contrast, Earth has gone through some dramatic changes since its formation billions of years ago. “The important point is that comets have not really changed in 4.5 billion years: they grant us direct access to some of the ingredients that likely ended up in the prebiotic soup that eventually resulted in the origin of life on Earth,” said paper co-author Hervé Cottin.